A gift of a cash donation of more than Rs. 8.7 million given by the Catholic Bishops was given back to Malcolm Cardinal Ranjith by the Pontiff, the Archdiocesan Monthly Bulletin ‘Koinonia’ reported. 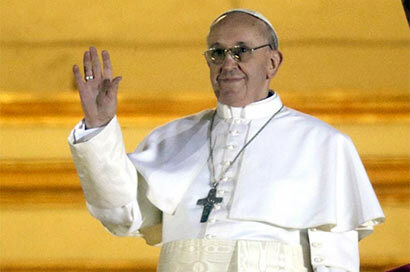 The donation was a gift from the local church to the Charity Fund of the Pontiff. It said the donation which was given to the Pope’s Charity Fund amounted to Rs. 8,760,690.25. The contribution from the Archdiocese of Colombo was Rs.6,323,490. In the catholic weekly ‘Messenger’ the Archbishop of Colombo Malcolm Cardinal Ranjith said just before em-planing to Manila, Pope Francis gave the cheque back to him and requested him to help the poor with it and report back to the Pope. Accordingly, the Bishops have decided to distribute the money among the dioceses asking each bishop to use it to help the poor in the diocese and to send a report to the Cardinal on how the cash was used so that a comprehensive report could be sent to the Pope. Pope Francis who has spoken extensively on the rights of the poor, the injustices of unemployment exhorts in his Apostolic Exhortation ‘Evangelii Gaudium’ (The Joy of the Gospel), a spirit of “generous openness” and urges care for the weakest members of society – the homeless, the addicted, the refugees, the indigenous people, the elderly who are increasingly isolated and abandoned and migrants, admonishes the lloal churches to keep the doors open for the poor. Thank you Sir, the Catholic Church in Sri Lanka can use this money for social activities which assist suffering Buddhists and Hindus and Muslims travel down the correct path by embracing the Catholic Church.